"What do Robert Biale, Caymus, Duckhorn, Orin Swift, Pahlmeyer, and Viader have in common? At one point or another, they were all buying fruit from Somerston estate. This massive estate has made a tremendous business out of selling grapes, but is making a very impressive set of wines under the watchful eye of Craig Becker, a tremendous winemaker that's had an amazing career and is finally starting to get the recognition he so much deserves. After starting at Mondavi in the mid-90s, he moved on to Spring Mountain Winery and made the stunning 1997s that we sold incredible amounts of! In addition to making the wines at Somerston, he's also working with Kelleher and Peacock Family, all of which are starting to make some noise with Robert Parker. 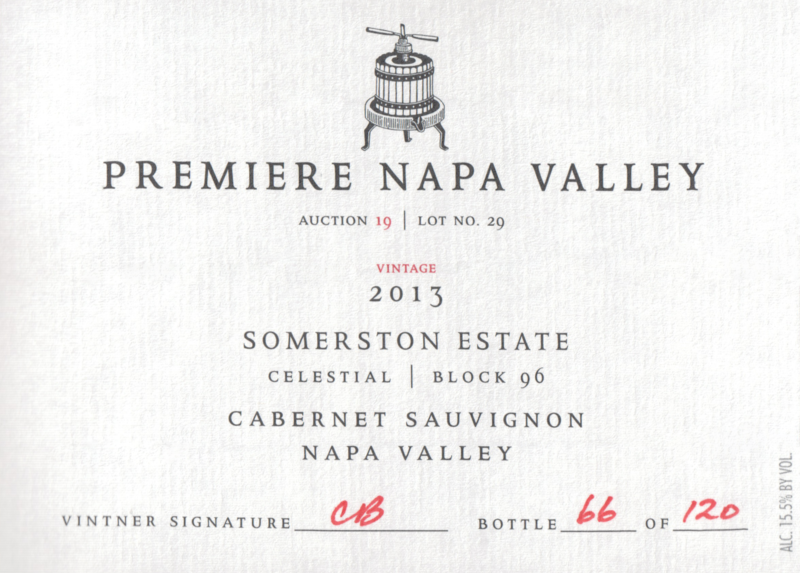 The 2013s that we tried are truly spectacular, and shows this winery is definitely going to be a star in the making. This is exceptionally pure Cabernet, and in a room of well endowed Cabs, or really tannic Cabs, this really caught our attention. 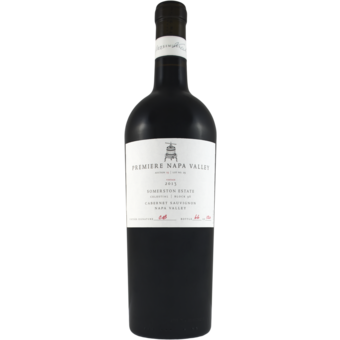 This wine has all the right pieces in all the right places, as it's tremendously elegant, yet has plenty of fresh acidity and tannins, but they are expertly integrated. The fruit character ranges they full spectrum, and subtle hints of savory herb and olive poke through just a touch in the mid-palate and finish. This is a really an eye opener for sure."